It’s an All Star monster rally — Lon Chaney Jr.!, John Carradine!, Bela Lugosi!, Basil Rathbone!, Tor Johnson! — with Akim Tamiroff in there pitching as well. It’s considered a must-see picture, and this HD presentation is nothing to sniff at. Added bonus: a Tom Weaver commentary. Starring Basil Rathbone, Akim Tamiroff, Lon Chaney Jr., John Carradine, Bela Lugosi, Herbert Rudley, Patricia Blake, Phyllis Stanley, Tor Johnson, Sally Yarnell, George Sawaya. Older monster kids know that the 1956 chiller The Black Sleep existed for years only through stills in Famous Monsters magazine. We saw tantalizing photos featuring a whole gallery of horror stars: Lon Chaney Jr., John Carradine, Bela Lugosi, Tor Johnson. I can’t say I knew who Akim Tamiroff was at the time, but everyone respected Basil Rathbone as Sherlock Holmes. His presence always gave a movie class. I didn’t catch up with The Black Sleep until way later in life, in the early 1990s when I had access to the MGM/UA video library. I made the time to watch a vaulted reference videocassette — and found out why I’d heard only a few random recommendations for the movie. I nearly fell asleep watching. A few hours later I had a hard time remembering more than a few story details. The movie made no lasting impression. Kino has followed up MGM’s earlier MOD DVD of The Black Sleep with a much better Blu-ray edition. The presentation is of course improved but the movie remains more of a good idea than a fully satisfying show. It should have a lot going for it. It has a creepy story idea, a great cast and some fairly gruesome scenes at a time when almost no gothic-style horror films were being made anywhere. One year later, Hammer Films of England would singlehandedly ignite a worldwide horror Renaissance. Technicolor brains and eyes and oozing blood, plus garish notions of sloppy surgery in the early 1800s, reawakened the horror audience. The Black Sleep was made by Aubrey Schenck and Howard W. Koch, producers of note from the 1940s forward. Koch became a prolific producer of mainstream hits in the 1970s. Twenty years earlier their company Bel-Air turned out a busy run of low-budget product for United Artists. Screenwriter John C. Higgins had been responsible for the scripts for fine noir fare like T-Men, Raw Deal and Shield for Murder, as well as the story for the obscure but excellent prototype superspy film Sabotage Agent (The Adventures of Tartu). 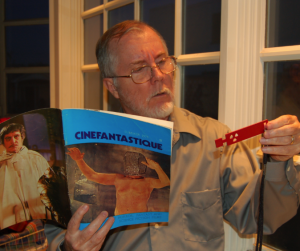 The veteran director Reginald LeBorg started with musical short subjects in the thirties and graduated to some of the cheaper Universal chillers of the ’40s. The Black Sleep’s commercial hook is its star cast — the print advertising and original trailer (included on Kino’s disc) stress the lineup of horror names. Only when the movie unspools do we realize that most of these icons are way past their prime. Some of our favorites show up only for brief walk-ons. Fans in 1956 must have felt cheated. The storyline is rather murky. Surgeon Dr. Ramsay (Herbert Rudley) is accused of a murder he didn’t commit and sentenced to hang. Before the execution can be carried out he is given the exotic Indian drug “Nind Andhera”, a.k.a. “The Black Sleep” by the renowned Sir Joel Cadman (Basil Rathbone). Ramsay wakes up a day later in Cadman’s care. He’s now officially dead, as the drug has convinced the authorities that he died of a heart attack. Cadman spirits Ramsay off to his mansion-laboratory, there to enlist his aid as a surgical assistant for his radical, morally questionable brain experiments. Cadman’s aim is to map the brain and use the knowledge to cure the effects of physical damage and mental illness. The goal is laudable but his attitude is decidedly sinister: he feels that taking a few human lives here and there is a regrettable necessity in his noble quest. We soon discover that Cadman’s real aim is to learn enough from his brain surgery to cure his comatose wife, Angelina. Ramsay does his best to see things from Cadman’s point of view but changes his mind when he realizes the full extent of the Doctor’s cruel schemes. The very first experimental subject ends up a functioning moron, joining a growing menagerie of misshapen monsters in Cadman’s cellar. 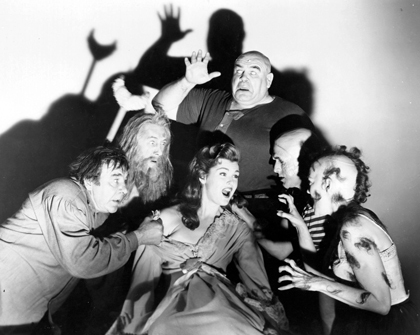 Nurse Laurie (Patricia Blake [Blair] of City of Fear) begs for Ramsay’s help, as Cadman has turned her father Dr. Monroe (Lon Chaney Jr.) into a mindless brute, now called Mungo. When Ramsay sees the cellar monstrosities for himself, Dr. Cadman forces him to operate on the next involuntary patient: Nurse Laurie. Koch and Schenck can’t call horror films their forte, as their later Frankenstein 1970 squanders the presence of Boris Karloff and their likewise Karloff-starring Voodoo Island is one of the most soporific horror pictures of the 1950s. A look at The Black Sleep’s detailed synopsis reveals screenwriter Higgins’ intriguing sequence of events, but the film’s weak execution drains much of the story’s excitement. What’s lacking is a genuine sense of menace. The Black Sleep is far too talky, with almost every scene taking place in an enclosed, small space. The overall sameness to the settings and a lack of story pacing combine to make the show feel sluggish and shapeless. Rathbone carries his part well enough but we learn nothing new about him once his reckless philosophy has been revealed. Akim Tamiroff is fairly congenial as Cadman’s murderous gypsy henchman, the tattooist Odo, but his character is not well integrated into the storyline. We’re told that the role was originally intended for Peter Lorre, who wouldn’t have been able to do much with it either. Herbert Rudley isn’t attractive or interesting enough to generate much interest as the involuntary addition to Cadman’s unholy household. Here’s one case where a movie really needed an actor with youth appeal: why not a compromised medical student, like one of Peter Cushing’s assistants in Hammer’s Frankenstein series? This is actually actor Herbert Rudley’s second go-around with a story about death-defying drugs. In 1946’s Decoy Rudley plays a doctor who revives an executed gangster with a drug called Methylene Blue. Dr. Cadman’s Black Sleep drug Nind Andhera is supposed to be an obscure mystery potion from India. He uses it as an anesthetic for operations (or vivisection experiments, if you will) but it sounds like something that belongs in a serial or a comic strip. The drug comes with an antidote that must be administered within ten hours. Any Mario Bava fan will agree that Nind Andhera has a lot in common with the Tibetan drug called “Cru-Shon” (Sp.?) in Bava’s Diabolik, which allows the nefarious criminal mastermind to fake his own death for 24 hours. Diabolik’s lover Eva Kant gives him the revival antidote with minutes to spare. Using a ‘death drug’ to escape an execution was also the subject of some Ben Hecht stories, and used as an episode in the 1969 film Gaily, Gaily. Back in Reginald LeBorg’s forgotten castle of freaks, Lon Chaney Jr.’s Mungo lumbers about as a somewhat laughable menace, trying to strangle his own daughter. The other nurse (Phyllis Stanley) can control him with a simple admonition, but we don’t understand why the dangerous lout is allowed to roam about in the first place. Most of the rest of the film’s ‘monsters’ stay locked in the cellar until the final scene. John Carradine plays a colorful wild man with a long beard, and is barely on screen for a minute. The other brain-damaged unfortunates are more pitiful than frightening, and push the movie in the same tasteless direction as the next year’s chiller The Unearthly. One monstrosity is a madwoman with half of her head shaved bald. She wears only a slip, and is a sordid sight. Of the all monster men, the relative newcomer ghoul Tor Johnson makes the best impression. The baleful, hulking Johnson does little more than stand and stare with his dead eyes and contorted mouth, but he’s a new and refreshing presence. This brings us to Bela Lugosi. This was Bela’s final feature film; he passed away a few months after its release. Those of us familiar with The Body Snatcher had been disappointed to see Lugosi given such a small role in his only Val Lewton film. His butler Casimir is barely a presence in The Black Sleep. Lugosi shuffles about opening doors and giving not-always appropriate double-takes to various other characters. Since he’s playing a deaf mute, he doesn’t even speak. He looks tired and not a little disoriented. It’s not a happy thing to see. This makes the trailer for The Black Sleep seem all the more of a cheat, as it too promises a monster rally that never materializes. 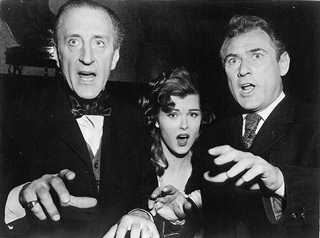 United Artists released the picture as a second feature to the superb The Creeping Unknown, a re-titling of English science fiction thriller The Quatermass Xperiment. 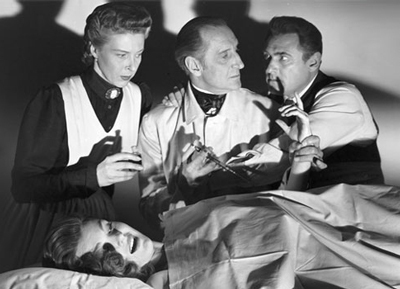 For a 1962 re-issue The Black Sleep was itself re-titled Dr. Cadman’s Secret. Horror fans will still want to see The Black Sleep and enough of them will like it enough to be amused. It should be given credit for its attempt to revive the horror format at a time when gothic chills were way out of fashion. Even with all the likeable faces, it just never made a memorable impression on this reviewer. The KL Studio Classics Blu-ray of The Black Sleep is a decent transfer of this underperforming horror opus. The focused widescreen 1:85 compositions help greatly, as the full frame transfer on the previous 2011 MGM Limited Edition DVD gives us the feeling that nobody bothered to point the camera in any particular direction. Oddly, with the tighter framing the film seems less claustrophobic… even with all those spooky horror stars pushed closer into our faces. The original trailer is included, and also Trailers from Hell’s narrated version, by director Joe Dante. The big draw for extras, and perhaps for the disc, is the audio commentary by Tom Weaver. Weaver met and interviewed several people involved in the making of The Black Sleep, and his informative flow of facts keeps us entertained for at least a full hour. Weaver’s folksy-familiar style neither patronizes the listener nor puts down the movie. He goes into character to read from official letters and correspondence, but he doesn’t plague us with voice imitations of the actors. Tom’s personal bias does show through when he seeks to point out The Black Sleep’s relationship to the hugely popular wave of Hammer horrors that appeared a year later. Tom has always found little to like in the filmic output of the Boys from Bray. Besides informing us that Black Sleep scooped The Curse of Frankenstein in the gory shocks department (! ), Tom hits us with a battery of reasons why Sleep is the superior film, going so far as to say that Peter Cushing’s acting pales before that of Basil Rathbone (!!!). So be prepared for some interesting arguments. Tom Weaver commentary tracks always seem to end too soon. I said that his talk is good for about an hour not because he drops the ball, but because the track is shared with a David Schecter analysis of every music cue in the movie. Schecter’s info and opinions are expert, but listening to them on a commentary, where he must explain where each cue fits in the storyline, etc., is deadly. When I get a Schecter movie score CD, I listen while reading his expert liner notes so I can hear what he’s talking about and hopefully learn something. The music-oriented commentary didn’t work well on GOG and it’s no better here. 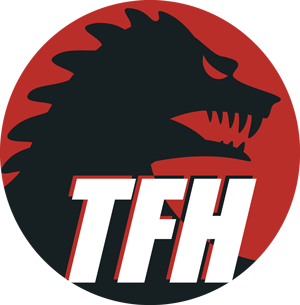 Supplements: Audio commentary by Tom Weaver and David Schecter, ‘Trailers from Hell’ segment with Joe Dante; Original Trailer.